Posted in: Art, Music, Nature. Tagged: Edvard Grieg, Han Hoffmann, Kemper Museum of Contemporary Art, Morning, Oil on canvas, Rising Sun. 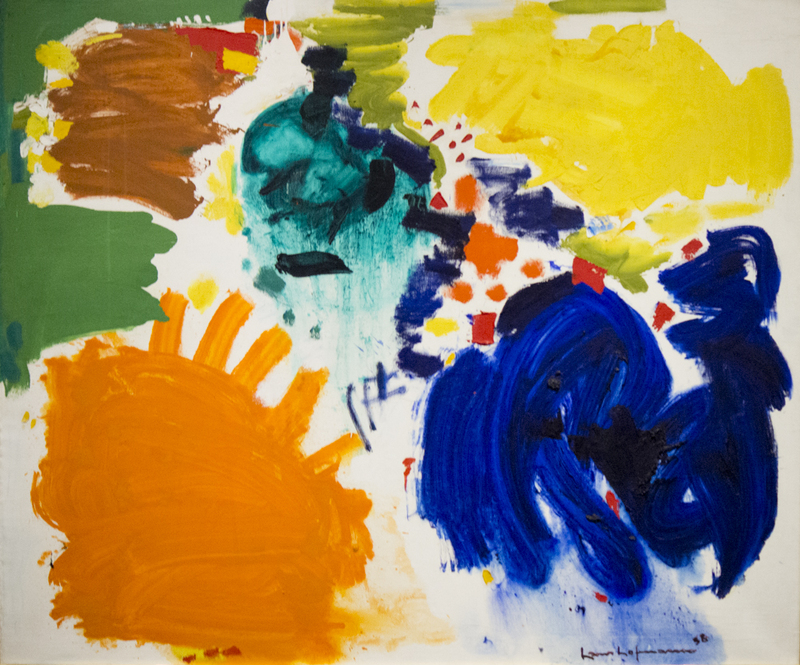 "The paintings that Hofmann produced in the 1950s and 1960s are a dazzle of color. While this is unabashedly painted color, with all the lurid force and crazy artificiality of the stuff that comes out of a tube, Hofmann somehow manages to use his electrically unnatural hues to create a whole variety of naturalistic effects. He excels at shimmers and halos and sparks and radiant glows, and he's terrific at suggesting a mysteriously effulgent darkness. He's also a master of textures, which in his work range from watercolored to impastoed, from cake-frosting smoothness to stucco-like roughness. Often in his painting, colors and textures are pushed to dissonant extremes, so that the artist's power is presented in perpetual, turbulent play. He knows how to achieve a beyond-analysis impact, as if we are seeing a brilliant sunset right after a fast-moving storm." There’s definitely something haphazard yet magical in his colors. Sometimes you just have to rely on the title. We’ve been watching a Tv biography on Picasso. I’ll never look at his paintings quite in the same light again. He was often a callous womanizer who deceived women. I’ll stick to M.C.Escher’s and E.E.Cummings’ art, and Magritte, for the most part.